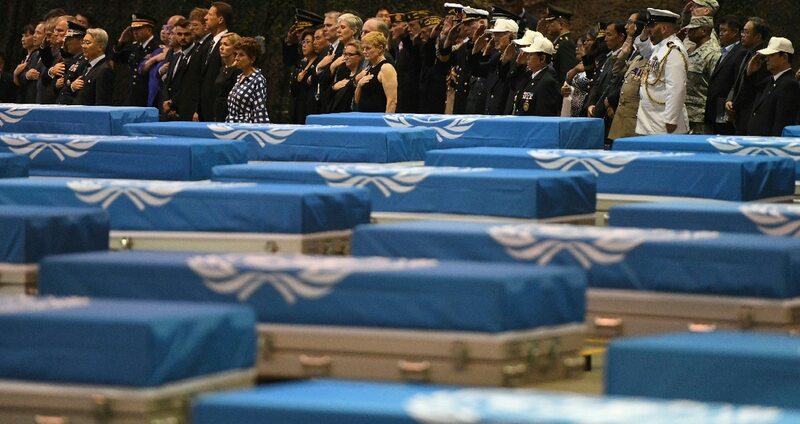 WASHINGTON — Tonight’s repatriation ceremony in Hawaii for the remains of fallen Korean War service members marks the culmination of a years-long diplomatic effort to fulfill a national promise to bring them home. But it also starts what is expected to be another arduous, years-long process to identify those missing-in-action troops and reunite them with their family members. 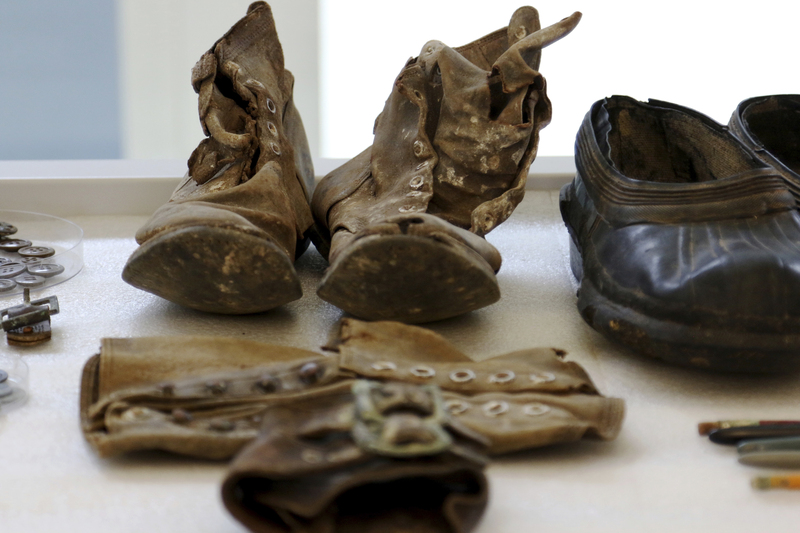 Decades after the end of the Korean War in 1953, the remains of dozens of presumed U.S. war dead returned Wednesday to Hawaii for analysis and identification. 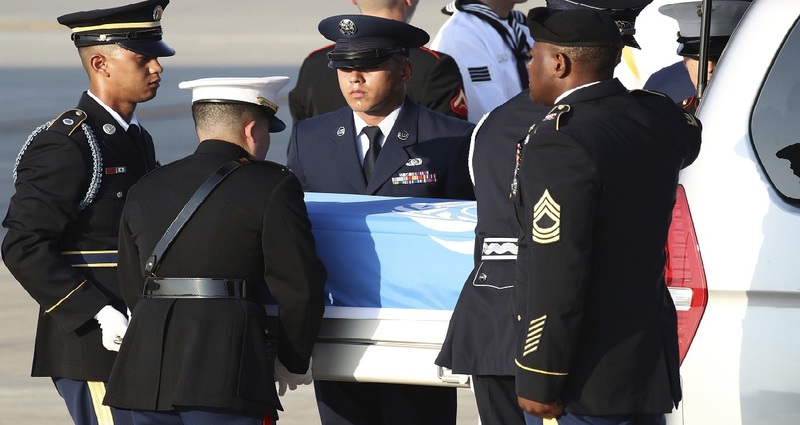 The U.S. military believes the bones are those of U.S. servicemen and potentially servicemen from other United Nations member countries who fought alongside the U.S. on behalf of South Korea during the war. 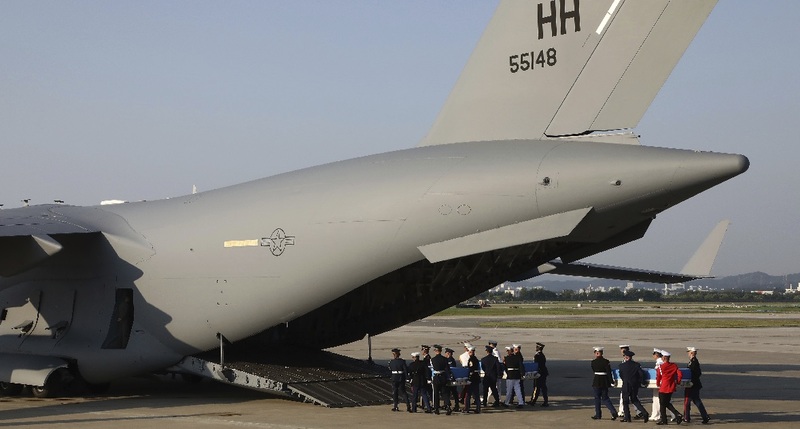 Following tonight’s “honorable carry” ceremony — an event that will feature numerous Defense Department dignitaries and Vice President Mike Pence — military officials will transport the 55 cases believed to hold the remains of fallen Korean War service members about a mile across Joint Base Pearl Harbor-Hickam to DPAA’s state-of-the-art forensics lab, to formally begin processing them. Willey said under the best-case scenario, that work could yield identifications in early 2019. If technicians run into problems, the work could stretch well into the 2020s. 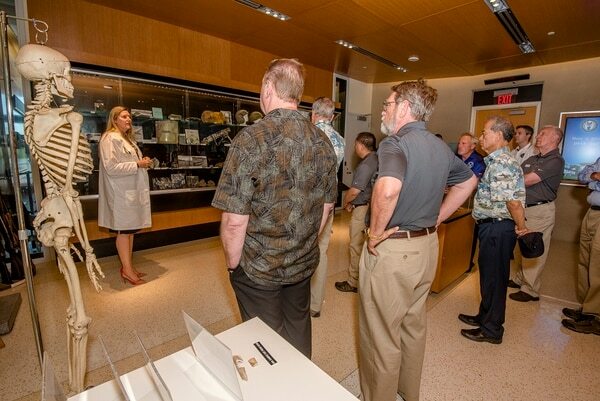 Willey, a professor emeritus at California State University in Chico, described the DPAA facility as among the best in the world for the forensics work. He acted as a consultant to the military in the mid-1990s when 200-plus sets of remains were handed over by North Korean officials. “Since then, the extent of what we have learned about DNA and DNA extraction has improved tremendously,” he said. Defense officials don't have family DNA samples for hundreds of troops missing from the Korean War. Military officials said an initial forensic analysis suggests that the remains likely belong to American service members. But for now it remains unclear whether the remains in each box come from a single person or several individuals. If forensic experts find single sets of well-preserved bones, they could begin DNA matching work within a few days. U.S. defense officials have said of the approximately 5,300 Korean War casualties believed to be missing in North Korea, about 91 percent of them have family reference samples on file already. In recent days, the Veterans of Foreign Wars and other advocacy groups have made a public push to gather even more. Willey said that database already presents a formidable resource in identifying the remains. DPAA officials will work closely with staff at the Armed Forces DNA Identification Laboratory in Delaware to verify their findings and, hopefully, produce quick results. But even if that work moves quickly, researchers still face months of additional verification work, explanatory reports and approval from their chain of command before any results are announced. “What we saw right after the Vietnam War was some work that was done outside the bounds of science, and as a result we had misidentifications,” Willey said. “So I hope people understand that this takes time. Defense officials confirmed Tuesday that the sets of remains turned over by North Korean officials (fulfilling a promise made by North Korean leader Kim Jong Un during his summit with President Donald Trump last month) included “a single dog tag” but no other information on where they were found. Willey said that isn’t a surprise. North Korean standards for remains handling lag behind American requirements, and past recovery efforts have run into similar gaps in information. But it does mean more work for researchers. Without knowing if the bodies recovered came from a battlefield or prison camp, DPAA officials will have to carefully search for other clues on who the remains belong to and how they were killed. When U.S. researchers received the 200-plus cases of remains from North Koreans in the 1990s, they found many of those contained multiple bodies. That could be the case this time too. DNA research can help with some of that sorting, but officials don’t even know if the remains are all Americans, further complicating identifications. If DNA matches can’t be found, researchers have access to chest x-rays of troops from that era as well as other medical records. But even with those resources, some of the work will likely take years for any type of resolution. Landed in Honolulu late last night. Humbled & honored to be here to take part in the Honorable Carry Ceremony for fallen U.S. heroes of the Korean War. Almost 7,700 U.S. troops from the Korean War are still listed as missing in action, with about 2,400 lost at sea or outside North Korea’s borders. 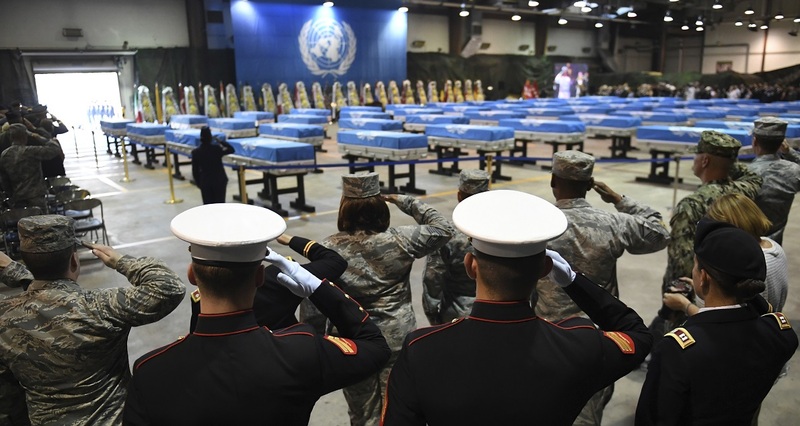 Defense officials have also noted that United Nations representatives have been involved in the recovery efforts because a number of American allies also have missing service members they hope to bring home. They’ve been in contact with those foreign militaries in recent days to brief them on the work, promising regular updates on the progress. “We don’t know who is in those boxes,” Mattis told reporters last week. “As we discover it, they will be returned.